It’s always important to use the right tool for the job. However, it can be a little confusing when there are so many sanders on the market. The palm sander, the belt sander, mouse sanders, and power sanders, the sheet sander, and, of course, the detail sander with variable speed to ensure a smooth finish time and again. When it comes to detail sanders, there are some really amazing products out there that can really get into those hard-to-reach places and do what would otherwise be impossible. 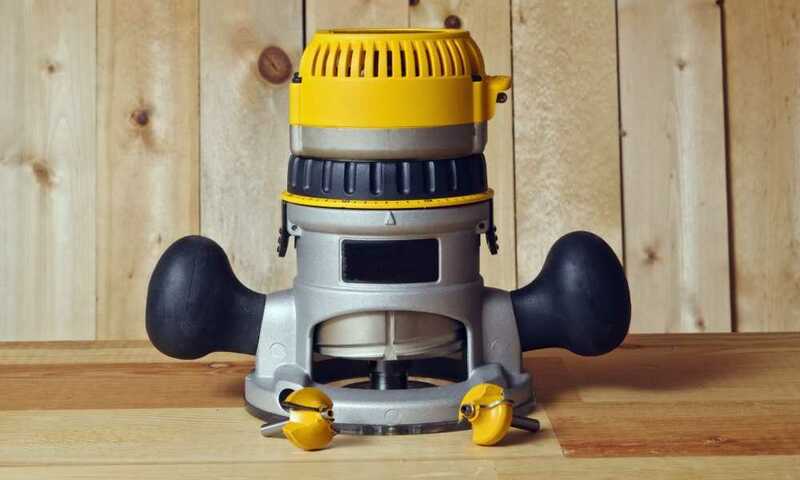 Whether you’re looking for a simple finishing sander or something extremely versatile with a lot of attachment, you’re in the right place. We found five of the best detail sanders available to help you find the one that best suits your needs. Before we get to those, let’s take a look at some of the main things to keep in mind when shopping for a detail sander. Corded versus Cordless. This is an age-old debate when it comes to most power tools. While corded tools are reliable and never run out of power, cordless tools are endlessly portable and easier to maneuver because there’s no cord of work around. Some of these sanders include simple attachments that get into small spaces or contour to rounded or square edges. Whether or not you need that kind of versatility depends on the project at hand. Dust collection. Most of these products have onboard dust collection that vacuums the debris into a small collection canister as you work. Some can also be attached to a vacuum system for even more power. Grip. Some of these sanders that have a simple palm grip while others give you two or even three options so you can adapt even more so to the job. 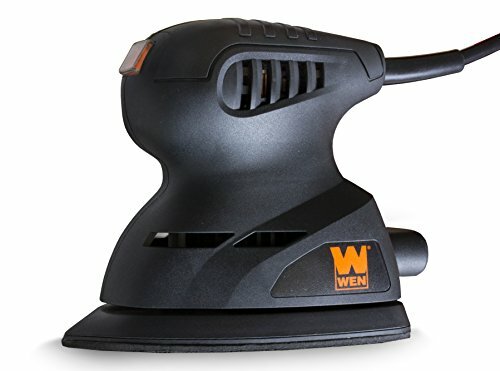 Our top pick for detail sander is the WEN 6301. One of the best things about it is its shape. The angled tip really lets you get into tight corners and small spaces so you can finish every last nook and cranny. The lightweight design is easy to maneuver and the handle is just the right size to fit comfortably into the palm of your hand. This sander features a dust port that can attach to a collection bag or vacuum system and the fan-assisted dust slots on the baseplate make sure that you’ll catch as much of the mess as possible. Attaching paper to this sander is really simple, too. It uses a simple hook-and-loop system for fast removal and installation. It’s covered with a 1-year warranty and a nationwide of technicians to help in case anything goes wrong. 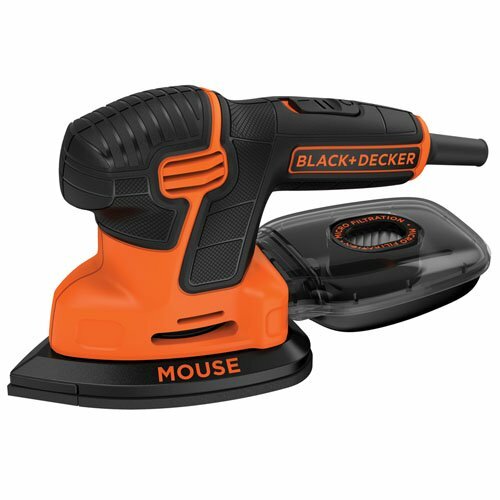 If you’re looking for a cordless sander, check out the Black+Decker BDCMS20C Mouse sander. 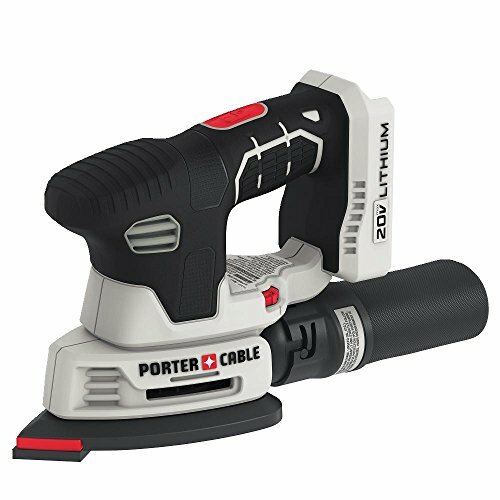 It gives you the maneuverability and convenience you look for in a cordless tool without sacrificing power or performance. This sander boasts 12,0000 orbits per minute for quick finishing and detail work. This compact, ergonomic design features a two-position grip so you can use it one-handed if necessary. The angled baseplate can get into tight spaces and corners and, for even harder-to-reach areas, it also includes a detail finger attachment. The Mouse comes complete with an effective dust collection system that helps keep the work surface clean as you work and when it’s time for new paper, just use the simple and hook and loop system for fast and easy changes. They even include some sandpaper for both the baseplate and detail attachment so you can get started on your projects right away. 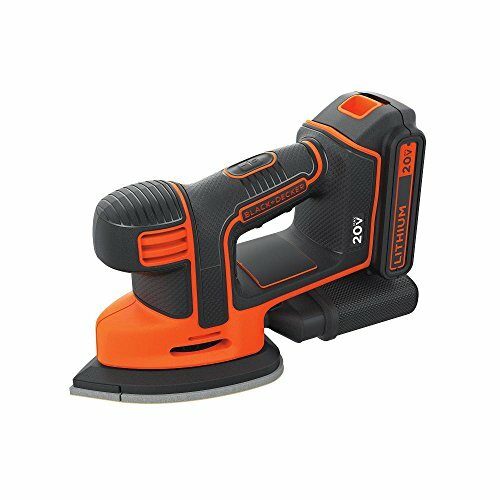 Another great option from Black+Decker is the BDEMS600. It’s similar to the BDCMS20C that we reviewed above but has a lot of great features that set it apart. The baseplate and detail finger attachment are the same but that’s where the similarities end. Thanks to the powerful 1.2-amp motor, this sander delivers 14,000 orbits per minute. It features a three-way grip for maximum versatility that’s comfortable whether you’re using it horizontally or vertically. Use palm grip for flat surfaces, precision grip when you need a lot of maneuverability, and handle grip when it’s time to get into those super tight spots. A high-performance dust collection system includes microfiltration and a see-through collection canister that will help you know when it’s full. It includes one sanding pad and is covered with a 2-year warranty. A great cordless option from another brand is this sander from Porter-Cable. The variable speed setting lets you adjust from 9,000 to 11,000 orbit per minute so you can use the right speed for the task at hand. It has a low profile a rubberized grip that make it easy to control and maneuver into tight spaces. The dust collection system on this one is pretty impressive. The vacuum port hooks up to any 1 ¼” hose or you just use the included collection bag and empty it as you go along. Just in case anything escapes, there’s also a dust-proof switch to protect the internal components and extend the life of the tool. This is a bare tool which means the battery will need to be purchased separately. It does, however, include the dust collection bag, sandpaper, and replacement sanding tips as well as a 3-year limited warranty. 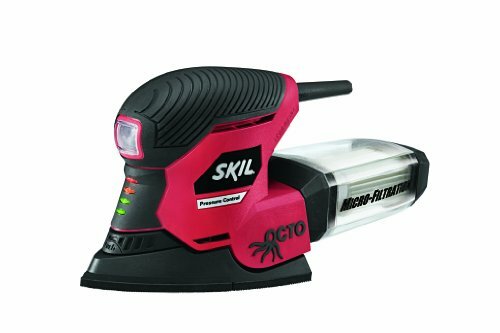 The SKIL 7302-02 is a really awesome piece of equipment and the most versatile tool we included in our reviews. This tool comes with eight different detailing attachments that let you sand just about anything. They include an L-shape piece for 90-degree edges, a curved attachment for round material, and a detail finger extension to get into really small spaces. Plus, changing from one attachment to another is fast and easy. The dust collection system uses microfiltration to capture and contain even the finest dust particles and the clear view canister lets you know when it’s time to empty the container. And that’s not all! It also has unique pressure control technology that monitors the pressure being applied to make sure you get the best finish possible. This sander comes with the eight detail attachments, 32 sheets of sandpaper, and a carrying bag to keep everything organized. It’s also covered by a 1-year warranty. I am confused… just what is a sheet sander? Does it have a loop of sandpaper that runs over two rollers?